The purpose of the Science program is to expose students to a wide array of scientific topics and provide a firm grounding in major scientific concepts and inquiry skills. The objective of the science program is to prepare students for success in future science courses and to make informed and ethical decisions in everyday life. Saint Peter Central Catholic strongly believes that everything is made in God’s image, and to respect all of His creations. Our goal is for students to make responsible decisions regarding their bodies and the environment, and to realize that as a community, our decisions today will create the condition of our world for tomorrow. 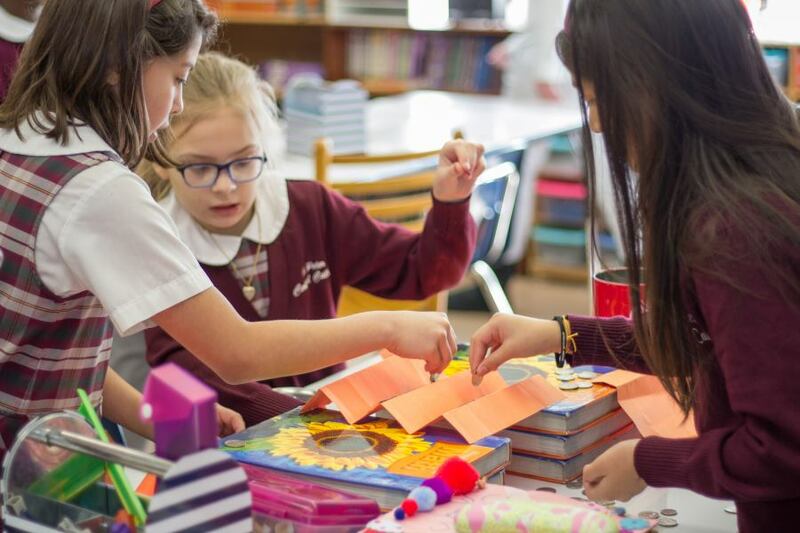 The science program at Saint Peter Central Catholic Elementary School incorporates curriculum and materials published by Nancy Larson, Harcourt, and Prentice Hall. Each of these published programs incorporate texts, workbooks, manipulatives, and multi-media representations such as videos and lab exercises to extend lessons. These curricula provide a comprehensive learning experience for all different types of learners through the use of kinesthetic, visual, and auditory materials and activities. The continuity of these programs provides seamless transitions from Kindergarten to Grade 4 throughout each unit.